Today I’ve got a review on Pixi by Petra’s four misting sprays including the: Invigorate & Revive spray (Vitamin Wakeup Mist), the Hydrate & Soothe spray (Hydrating Milky Mist), Set & Hydrate spray (Makeup Fixing Mist) and Glow & Nourish spray (Glow Mist). If you’d like to know my thoughts then keep on reading! 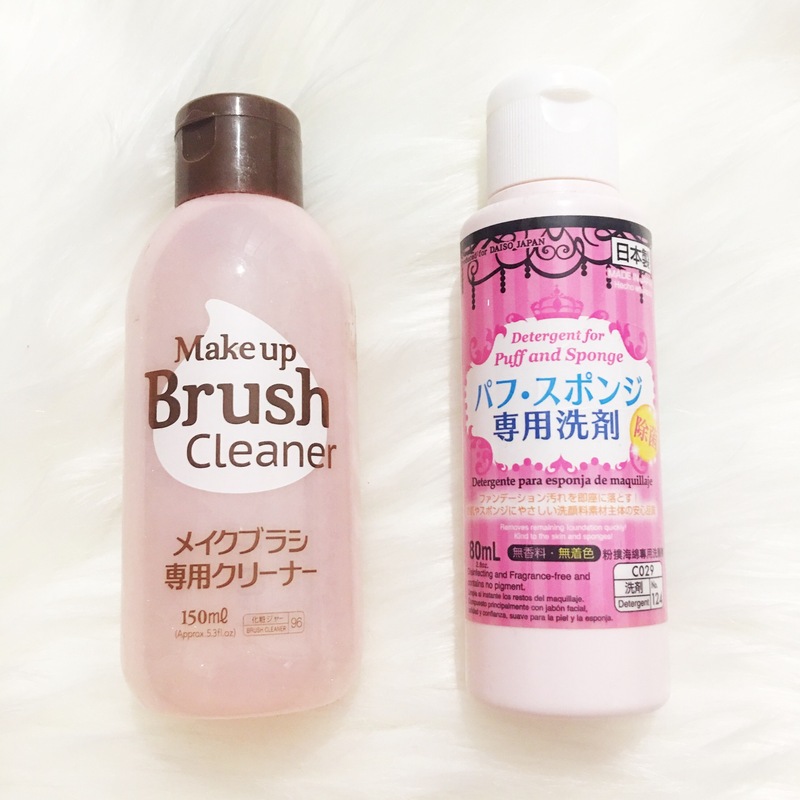 Today I’ll be telling y’all how I wash and spot clean my makeup brushes as well as reviewing the products I use which are the Daiso Sponge Detergent and the Daiso Brush Cleaner. If you’d like to know how, please keep reading! Today I’ve got a post for y’all on my top 3 must-have hair care essentials. I have bleached and dyed my hair many times over the past six years so it’s essential that I take good care of my hair to ensure breakage is minimised and it’s in the healthiest condition possible. If you guys would like to see my hair care essentials please keep reading. Today I’ve got a post all about my 2016 beauty favourites. If you’d like to see what I’ve been loving throughout the year & what I can’t live without please keep reading. Today I’ve got a post about some of the latest releases on the beauty market including products from brands such as Essence, Avene, Rimmel and Australis. If you’d like to see what’s new and my thoughts on them please keep reading. I’ve got a review on Rimmel’s newest foundation the “Fresher Skin Foundation”. I was super excited to try this out since I am not a fan of heavy foundations simply because I’m not in the mood to put something heavy on my face in the morning while I get ready (typically in a rush) – so this one sounded perfect! If you’d like to know my thoughts, please keep reading.